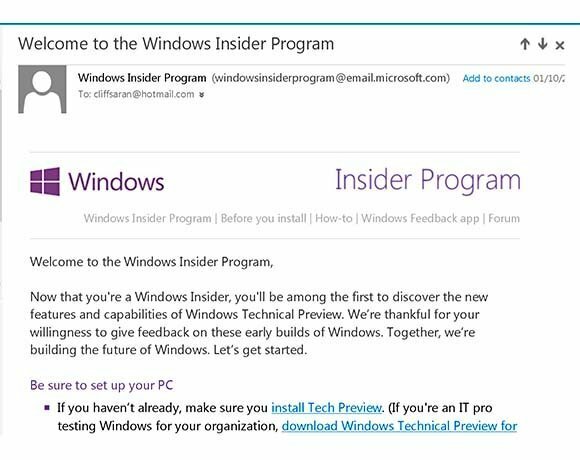 To get access to Windows 10, you need to sign up to the Microsoft Insider programme with a registered Microsoft account. You are give two options: either a 5 Mbyte executable for running the installer on a new PC or a 3.9 Gbyte ISO file, for installing via CD-ROM, or onto a virtual machine. I chose the latter. The 3.8 Gbyte file took just under an hour to download.